At his request, retired Lt. Gen. Patrick, center, was inducted by Sgt. Maj. Kerry Dyer, right, of UNG's Department of Military Science and retired Sgt. Maj. Terry Baumann from the Commandant of Cadets Office in a small ceremony on June 20. Two alumni of the University of North Georgia (UNG) are among the inaugural class of inductees into the U.S. Army Reserve Officers' Training Corps (ROTC) Hall of Fame. Induction is intended to honor graduates of the ROTC program who have distinguished themselves in military or civilian pursuits. Retired Lt. Gen. Burton Patrick ('57) and Bob Mathews ('71) were inducted during a ceremony held June 10 by U.S. Army Cadet Command at Fort Knox, Kentucky, in conjunction with a cake-cutting ceremony for the 100th anniversary of ROTC. 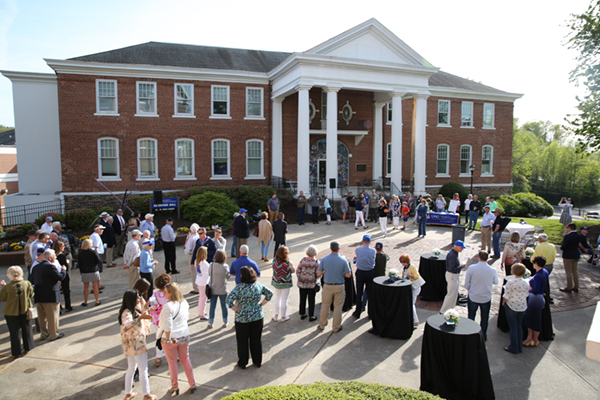 More than 100 of the 326 inductees, including Mathews, attended the ceremony and centennial celebration. At his request, Patrick was inducted by Sgt. Maj. Kerry Dyer of UNG's Department of Military Science and retired Sgt. Maj. Terry Baumann from the Commandant of Cadets Office in a small ceremony on June 20. 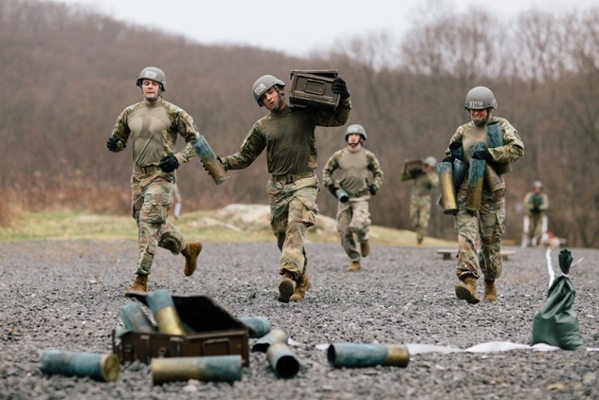 "A hundred years have gone by and look at the young men and young women who have been trained in the Reserve Officer Training Corps and have gone on to do great things for the country," Patrick said. "I love this place and I love the people here. I owe this university, this great place in the foothills of the Blue Ridge, so much for my career. It's phenomenal." Patrick, of Thomson, Georgia, earned a bachelor's degree in physical education in 1957 and commissioned as a second lieutenant in the Army infantry. During his 31-year Army career, Patrick commanded soldiers at every level from platoon through field army. He served in a variety of locations around the world, including Vietnam and Korea. He also served as commanding general of the elite 101st Airborne Division in Fort Campbell, Kentucky, from 1985 to 1987. After being promoted to lieutenant general in May 1987, he returned to South Korea and assumed command of the world's only Combined Field Army until his retirement in July 1988. His military awards include the Distinguished Service Medal, Silver Star, Defense Superior Service Medal, Legion of Merit, Bronze Star, Meritorious Service Medal, Air Medal, Army Commendation Medal, National Defense Service Medal, Vietnamese Service Medal, three Vietnamese Crosses of Gallantry, and other awards and badges. Patrick was inducted into the UNG Athletics Hall of Fame in 2012 and received the university's Distinguished Alumni Award in 1989. Bob Mathews of Atlanta, Georgia, is president and CEO of Colliers International-Atlanta. He earned a bachelor's degree in political science in 1971 and commissioned as a second lieutenant in the U.S. Army. 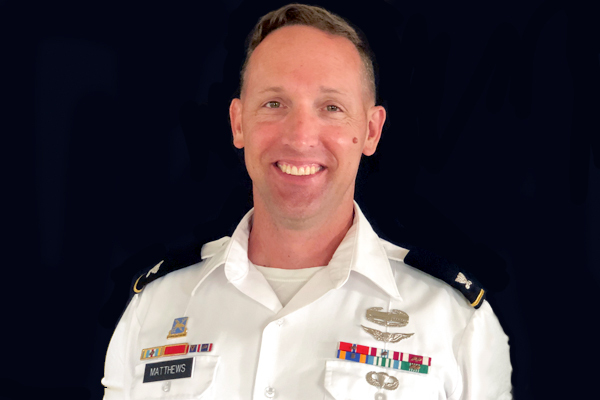 Mathews served six years in the U.S. Army, achieving the rank of captain. In 1984, he went into commercial real estate and joined Colliers in 1991, where he has served as CEO since 2004. His professional accomplishments include the Silver Phoenix Award from the Atlanta Commercial Board of Realtors in 2012 and the organization's Realtor of the Year award in 2009. He also has won numerous awards from Colliers, and has been on the firm's Board of Advisors since 2007. Mathews is past president of the UNG Alumni Association and currently serves as chairman for the UNG Real Estate Foundation. His additional volunteer activities include serving as member of the Board of Directors of the Metro Atlanta Chamber of Commerce and the Midtown Alliance, and member of the Board of Trustees of the Educational Foundation of the Atlanta Board of Realtors. Nationally, nominations were solicited from each ROTC program and ROTC alumni were chosen "whose character, distinguished service, and stature draws wholesome comparison to the qualities for which ROTC strives, in keeping with the spirit of 'Duty, Honor, Country.'" Each inductee receives a medallion and certificate, and bricks inscribed with the name of each inductee will be displayed on a walkway near the Cadet Command Headquarters Building at Fort Knox. 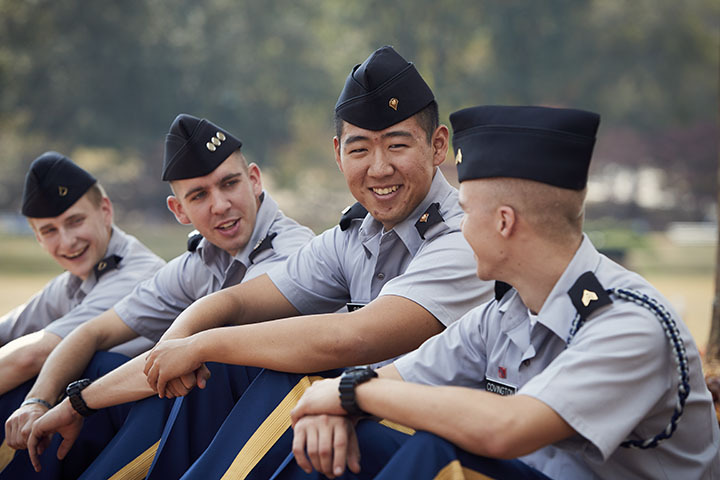 UNG is one of six senior military colleges in the nation and the only one with an all-Army ROTC program, and is designated as The Military College of Georgia.